ExpenseOnTheGo - Simplify Your Life NOW! We are proud to introduce ExpenseOnTheGo, most innovating financial app on the market! ExpenseOnTheGo was specifically developed for all of your IOS devices and for you! ExpenseOnTheGo will tremendously simplify recording and distributing of your personal, business and corporate expense records. 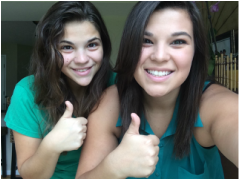 It is one supportive app that every shrewd person needs! Saving money and organizing your bills, receipts and invoices all in one place has never been easier! Use our reliable app´s Receipt Scanner to scan your expense receipts, bills and invoices with ease. Once scanned, tag and add details about the receipt. ExpenseOnTheGo will store all your receipts and help you organize them effectively so that you can access them whenever and wherever you need to! All of these don´t just sound dull, they actually are! And many people face them all on a daily basis. Remain calm! ExpenseOnTheGo is the E-xceptional, E-fficient and E-asy to use app that instantly simplifies all of the above tasks and much, much, more. Expense Management On The Go! ExpenseOnTheGo is an excellent app, and will immediately help you with ALL of these and much more! So, what are you waiting for? Download ExpenseOnTheGo right now, declutter your desk and make your life, both personal and professional, more E-asy! Watch our video to learn more about the proven simplicity of ExpenseOnTheGo. 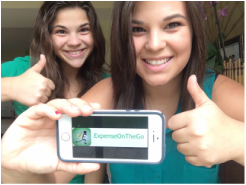 We would be eternally grateful if you help us spread the word about ExpenseOnTheGo to your friends and family. As a business owner, we rely on referrals and word of mouth. When you purchase the app (a small fee of $3.99) you will get 1 client and 1 project for FREE. Further, we would appreciate your feedback and suggestions. If you liked ExpenseOnTheGo, please give us a 5-star rating and review below. We would highly appreciate it! Vega LLC is wholly owned subsidiary of future International Immobiliare StarDiLys Holdings LLC.